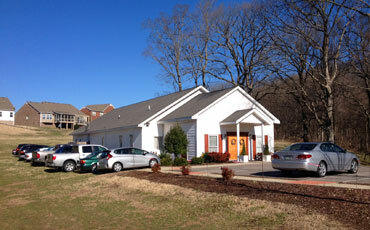 The RTB Nashville Chapter is located in the heart of middle Tennessee. Nashville calls itself as "Music City" but it is also a city of culture, history, and fine cuisine. It is home to no fewer than 18 institutions of higher education, living up to it-s pre-civil war nickname of "the Athens of the South". The RTB Nashville Chapter seeks to bring RTB’s message of God’s revelation in the Bible (His word) and in creation (His world) to the residents of the Nashville metropolitan area, our chapter hopes to influence not only Nashville, but also middle Tennessee and beyond. We seek to encourage believers and skeptics to dialogue with humility and respect on a variety of scientific, historical, and philosophical issues that interface with the Christian faith. Please join us for our next meeting. You’ll receive a warm welcome along with spiritual refreshment and maybe even some tasty snacks. We look forward to meeting you and making you feel at home with us.